Quite often BBC is involved in Western propaganda, but three years ago they produced a very honest documentaion: „Rwanda´s Untold Story“, putting things concerning Rwanda, Burundi and DR Congo right. No wonder that the Kagame_regime_went_nuts over the documentation since the film delivers a compelling_case_of_Kagame_as_war_criminal. Take the pain to have illusions chattered! Tweeting in „Kagame Style“: A Rwandan Going Rampant on Twitter and Speaking out a Death Treat! 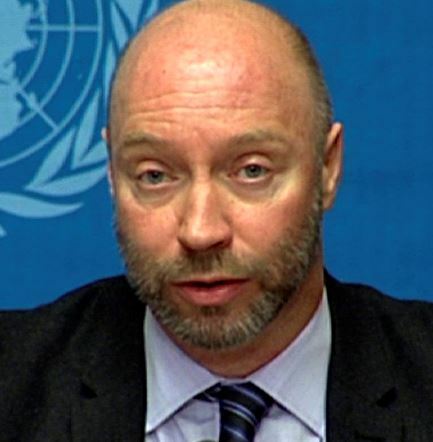 In deed he seems to speak out a death threat against Human Rights Watch critics of Rwanda´s Kagame-Regime, saying „With these obsessive attacks on #Rwanda @hrw and @KenRoth confirm their death; they need holy transformation to resurrect, #HRWLies“! This could just be seen as „blabla“ if there wouldn´t be good reasons to believe that the Kagame regime murders_opponents like Col Patrick_Karegeya, former intelligence chief, in South Africa, or attemped to do so like with General_Nyamwasa also in South Africa. But the regime obviously doesn´t stop with Rwandan countrymen (dubbed as traitors) but takes at foreigners as well everywhere. Kagame seems to have had a hand also in the death_of_Komla_Afeke_Dumor, BBC Presenter of Ghanain origin (I_have_written_about_this_in_2015). It follows patterns practiced by Kagames US masters, as spoken out by former_acting_CIA_director_Morell, and by Israel. This is called TERROR! It´s up to critical journalists and analysts to be brave and stay upright against the Terror regime of Kagame and his attempts to intimidate critics! Ebola: Pandora´s Box, Opened Since Long? Planned Ebola: An Absurd Suspicion? 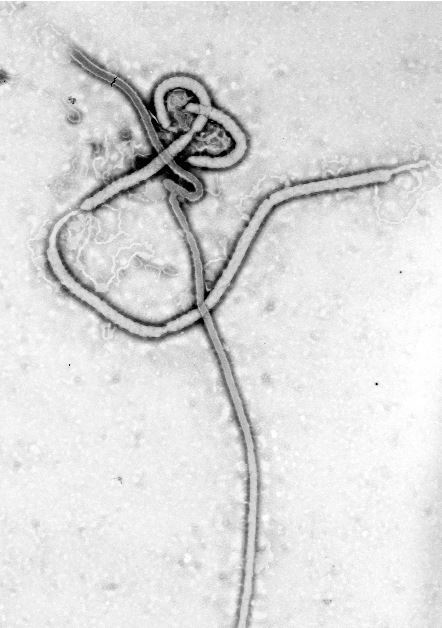 The new Ebola virus epidemic striking West Africa with a virus strain that is associated with the Central African region has claimed thousands of lives already and turning many people in the world into panicking. We´re told since quite a time that mankind has to expect epidemics by hitherto unknown viruses and germs from time to time. And true, mankind had always been stroke by such nightmares from time to time. The more dramatic such things are with the modern technology of air traffic. Spanish Flu short time after WW I claimed more lives even than that horrible war did. HIV is troubling mankind since the eighties. Why come up with such suspicions? Anyway, well based suspicions are not that new. Already in 1996 the virus expert Leonard G. Horowitz wrote a book, „EMERGING VIRUSES: AIDS & EBOLA, Nature, Accident or Intentional?“, asking about the man made origin of AIDS and Ebola (http://www.bibliotecapleyades.net/ciencia/ciencia_viruses.htm). He brought good arguments to show that those diseases have a lot to do with Bio Warfare. His findings are systematically pushed out of the Media and the Internet as shown in an article by Sherri Kane (http://www.waronwethepeople.com/ebolagate/). But suspicions are also growing in Africa. The detailed article “Ebola, AIDS Manufactured By Western Pharmaceuticals, US DoD?” by Dr. Cyril Broderick in the „Liberian Observer“ (http://www.liberianobserver.com/security/ebola-aids-manufactured-western-pharmaceuticals-us-dod) couldn´t even be ignored by US American CBS (http://washington.cbslocal.com/2014/09/11/largest-liberian-newspaper-us-government-manufactured-ebola-aids-virus/). The Big Cudgel: „Conspiracy Theory“! Some people will just shake their heads, murmur „conspiracy theorists just turning to their `usual suspects´“. Let them do so. Lets go back to the quotation at the beginning: „And advanced forms of biological warfare that can “target” specific genotypes may transform biological warfare from the realm of terror to a politically useful tool.“ One feels reminded of Noam Chomsky´s sarcastic remark: „Terrorism is always what the OTHERS do“! In the hands of US power biological warfare obviously turns „from the realm of terror to a politically useful tool.“ This will hardly target the white majority of the US population but different people, perceived as the most different: people of African descent! „Race War“! In the „Kissinger Report“ from December 1974 (NSSM 200, http://pdf.usaid.gov/pdf_docs/PCAAB500.pdf) you will read about population growth in „developing countries“: „Whether through government action, labor conflicts, sabotage, or civil disturbance, the smooth flow of needed Materials will be jeopardized. Although population pressure is obviously not the only factor involved, these types of frustrations are much less likely under conditions of slow or zero population growth“ (page 40) . „Overpopulation“ is „thus creating political or even national security problems for the U.S.“ (page 8). Now one can argue that a limitation of population growth is also in the interest of the Southern countries as well, and true so, but on basis of a just and fair system. But China was internationally bashed on basis of their „one child policy“, and here are the words of one of US imperialism´s key figures, Kissinger! In Face of Ebola and HIV: Main Problem, „Overpopulation“! 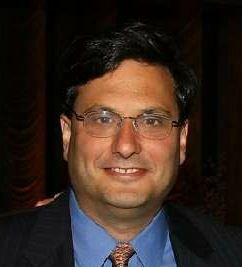 The US government has created the post of an „Ebola response coordinator„, the post was given to a lawyer, Ron Klain (https://en.wikipedia.org/wiki/Ron_Klain), to be the US “Ebola Czar”. Interesting to know what this man considers to be the most urgent problem in this world: “Overpopulation” (https://www.youtube.com/watch?v=KRdpi0Ww2-8)! Now, that´s not all! 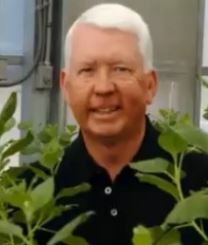 Hear one high ranking expert on vaccines, Charles Arntzen (http://www.biodesign.asu.edu/people/charles-arntzen) from Arizona State University, joke about a means against „Overpopulation“: https://www.youtube.com/watch?v=fsD7l9xENRQ! Arntzen: “Go out and use genetic engeneering to create a better virus!”, are his words! One is driven to add: “a `better virus´ than those ones you´ve created already?” And, let´s be very precise: it´s the Southern Hemisphere seen as the cause for overpopulation! But there will be many Westerners who think: as many evil things as might have been done by our mighty ones, this is too much to believe! Don´t be naive! After „Nine Eleven“ the case of the „Anthrax Letters“ involved Steven Hatfill (https://en.wikipedia.org/wiki/Steven_Hatfill) who was later on strangely acquitted from accusations. This man has a long „career“ in Bio warfare also in those days Rhodesia in the war of the racist white regime against African freedom fighters (http://biosurveillance.typepad.com/biosurveillance/2012/01/anthrax-in-rhodesia-during-the-front-war-1978-82-a-suspected-act-of-biological-warfare.html). He´s now also in the “Ebola business”. By the way, he had links to Apartheid South Africa. In Apartheid South Africa there was Project Coast headed by Wouter Basson on the way, including bio warfare against the black majority. The dream of the devilish “doctors” was the “Black Bomb” targeting Africans on basis of tiny genetic differences (see quotation at the beginning of this article and https://www.youtube.com/watch?v=U4I3LznMKGk). 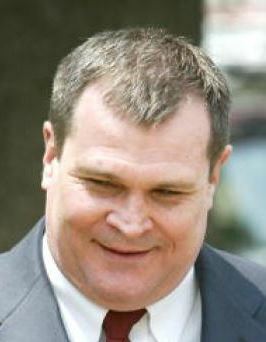 He was also said to have had contacts to Israel (http://www.sott.net/signs/signs_ethnic_supplement.htm). The whole project has never been uncovered to the full extend. It can be suspected that the dying Apartheid regime has planted HIV via its Apartheid “health system” at large scale. Who knows that on the downed Malaysian Airplane MH 17 in Ukraine there where many AIDS experts heading to a conference in Australia (http://nvonews.com/malaysia-airlines-flight-mh17-aids-society-mourns-aids-experts-death/)? 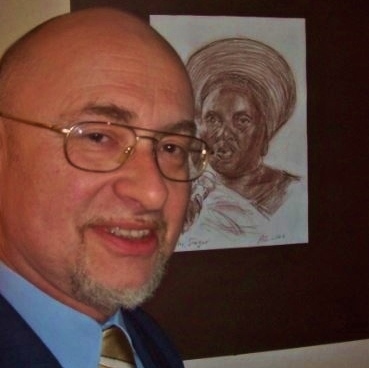 But more puzzling, among was someone who had to say a lot about Ebola: and the US Bio weapons lab in Kenema, Sierra Leone (http://www.pakalertpress.com/2014/08/19/ironic-that-a-leading-expert-in-ebola-died-on-missing-malaysian-airlines-flight/)! There will be people ready to believe the US Power Elite might be able to do such things to people in Africa but might have the reservation: the epidemic could spill over to the US! Those people should be reminded of the fact that there were numerous incidents where dangerous experiments were perpetrated on US citizens as well: https://www.youtube.com/watch?v=ciR6BWXjmrA. But in the end we´re not even talking about the US government but about the US Power Elite (http://tinyurl.com/nrxxej5), especially the “Neocon fraction” and their secret services! And for those hundred people one thing is clear: they play with racism, but all “common people”, no matter whether black, brown, yellow or white are nothing more than vegetable! And even a spilling over to the US could be the cover for another ”Business Plot”! 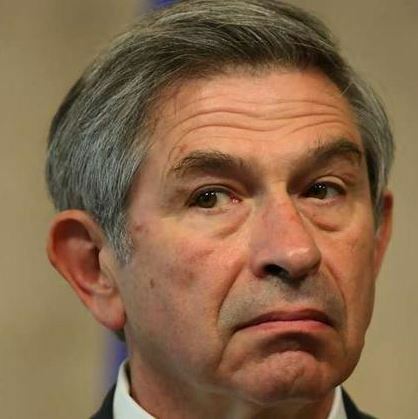 Mind that contrary to Cuba´s sending of 165 medical personnel to West Africa the US are sending 3000 military personnel to West Africa, possibly to train how to “get to grips” with such situations. But it appears that the spilling over might not appear, so we can leave that as a speculation. Another point has nothing to do with speculations: the US Power Elite in its greed for Africa´s resources doesn´t mind to sacrifice millions of African lives (http://tinyurl.com/kkpvcf7). And the technological development makes the Empire more independent of labor force. We´ve to be on alert! More Terror in Central Africa? Is Partnership with the West for Africa really possible? In deed as much as the „war against Africa“ is directed by the US, France is still benefitting a lot! And the US Power Elite is in fact regarding the whole world as their colony! 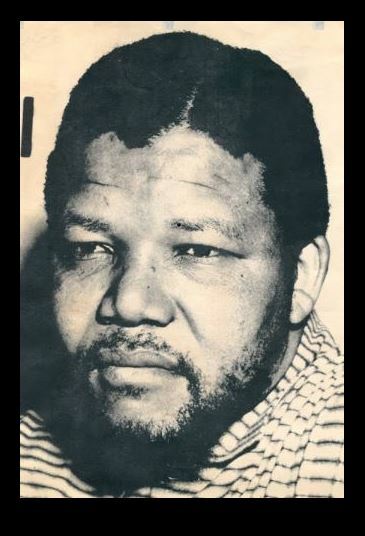 Mandela: Another of South Africa´s Heroes Dead! I bow my head in respect for Nelson Rolihlahla Mandela! He has contributed thousand times more to the struggle for freedom, justice and equality in the world than many others. I express my deep condolence to the people of South Africa, which means to those, who were (and are) in need of freedom, justice and equality, respectively to those who were and are willing to give way to these high aims. Without doubt we have had to let him go after a tiresome long struggle and having reached a blessed age of 95 and a physical condition of being weak and helpless. Since long they tried to kill the Hero! Western polititians and media tried since long to kill the revolutionary by converting his revolutionary image into the image of an „NGO Grandpa“! And sadly he was too age mild to tell them off! 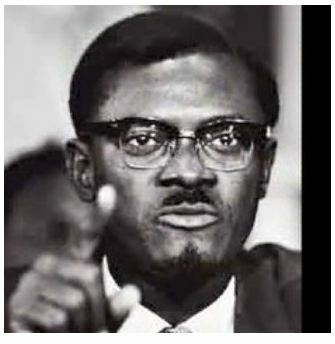 It pained me to see arch imperialists like Clinton with the blood of hundreds of thousands Rwandese and millions of Congolese on his hands to knuddle Mandela and play the role of his friend. Their pretended respect was in deed shameless disrespect. And they tried to wipe away all the other heroes of the South African struggle by blowing their produced „NGO Grandpa“ portrait into unlimited dimensions! 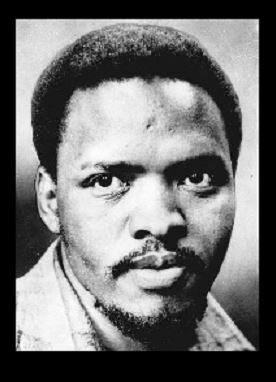 They did so to cover Steve Biko and all the other prominent as well as unknown heroes and martyrs of that long struggle, who counted in thousands, not to speak of the Sharpeville massacre and the Soweto uprising. Even More Sad: the Freedom Charta (Partly) Burried Since Long! 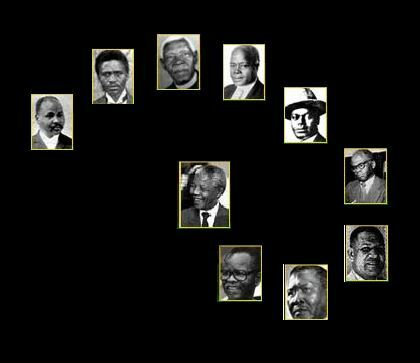 In 1955 the ANC in a really democratically organized process brought about the Freedom Charter. It enshrined the basic principles and demands for a truly just society. This was besides the demands for formal democracy based on “one (wo)-man, one vote” the real aim of the struggle. How this fundamental document was pushed aside in the process of transformation is well described by Naomi Klein in her book The Shock Doctrine. It´s not the matter to belittle Mandela´s contribution to the struggle and his long 28 years sufferings in prison by holding him alone accountable for this, but the process of negotiations was not all that democratic. His finally humanist attitude might have made him neglect the Freedom Charter in part in face of a big blood bath´s threat. And when Mangosuthu Buthelezi´s Inkatha gangs tried to disturb the ANC´s efforts by brutal violence on behalf of the Apartheid regime, Mandela found clear words. Anyway, the tragic of South Africa also lies in the fact that when ANC took office, politics was already robbed of power by the capitalists just like in the Western formal Democracies! 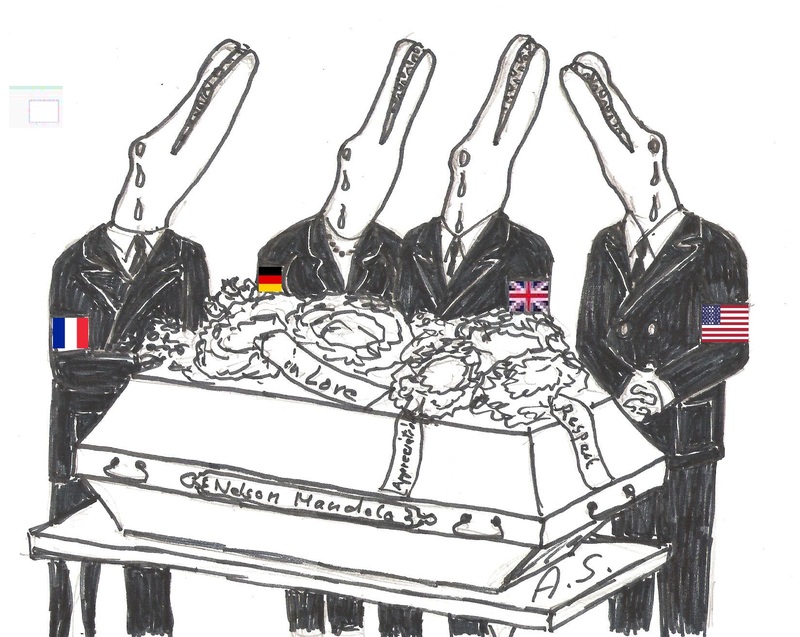 And also another thing appears highly disturbing: the expectation of the imperial crocodiles squeezing tears at Mandela´s grave pretending they care in any way for Africa (http://tinyurl.com/kqcu8lf) and for the South Africans´ desire for a just, free and equal society in particular!